For the second year in a row, one of our wines has been named to Sonoma Magazine’s 100 Best Wines of Sonoma! The publication selected our 2013 Malbec as one of the county’s best – an incredible honor, especially when you consider the sheer number of amazing wines coming out of Sonoma today. We’re thrilled to be included among so many distinguished wineries; congratulations to all! Brian and Janice Schmidt (she’s the winemaker) won gold and achieved 95 points at the NCWC with this brawny, dense wine with blackberry, blueberry and mulberry flavors accented by chocolate, vanilla and baking spice. 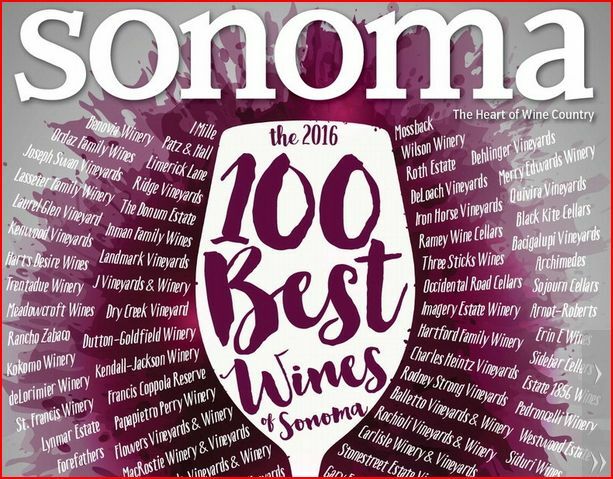 Check out this great article yourself in the online issue of The 2016 100 Best Wines of Sonoma…our review is located on page A109! 2018 – Our Tenth Harvest!